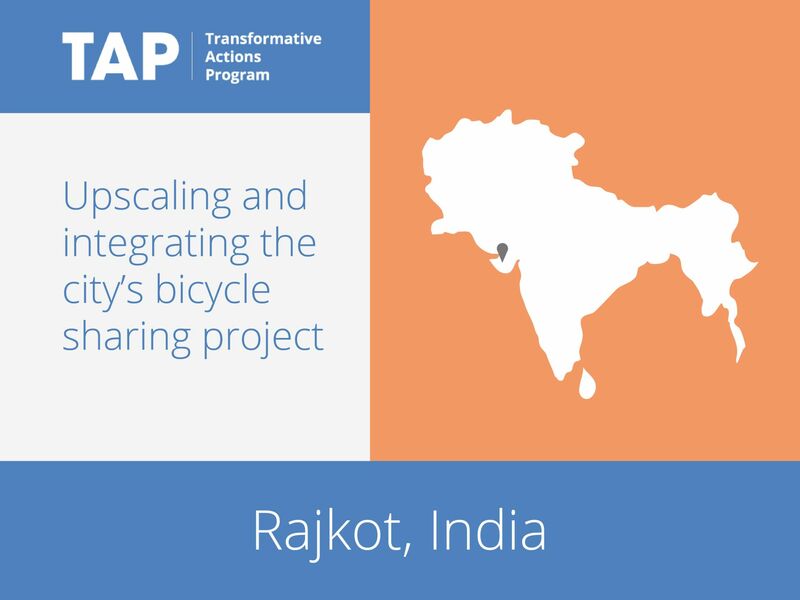 To make its transport system more sustainable, Rajkot has developed a bike sharing scheme. The majority of the cycle stations are located near bus stops and major transportation nodes, allowing citizens to commuters travel by bike for the final or opening legs of their journeys. Presently around 600 to 900 people benefit from the scheme a daily basis, and this figure is increasing by five percent each week. The bicycles are free of charge for the first two hours. Rajkot is currently looking at the potential for the second phase of the project, which will integrate the rental system into the sharing system as well as with existing public transport system.